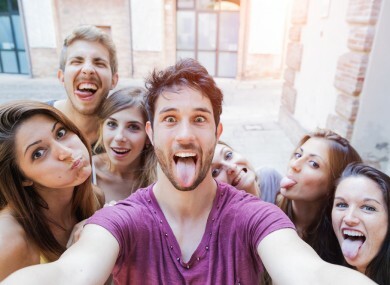 SOME PEOPLE WHO share a lot of selfies online are more likely to show signs of psychopathy, according to a new academic study. Researchers at Ohio State University looked at a survey of 800 men, who were asked about their behaviour on social media. The men who posted more pictures of themselves on Facebook and other social media sites scored higher on measures of anti-social personality traits – including narcissism and psychopathy. It’s not surprising that men who post a lot of selfies and spend more time editing them are more narcissistic [...] The more interesting finding is that they also score higher on this other anti-social personality trait, psychopathy, and are more prone to self-objectification. Women were not included in the study because the data – received from a magazine which carried out the survey – was not available. However, Fox said she was involved in follow-up research that suggests the same findings may apply to women. She said the study revealed that many men edit their selfies before sharing. ”Most people don’t think that men even do that sort of thing, but they definitely do,” she said. This behaviour was linked in the study to self-objectification – valuing yourself more for your appearance than other positive traits. Email “People who take lots of selfies are more likely to be psychopathic”. Feedback on “People who take lots of selfies are more likely to be psychopathic”.